During the first quarter of the year we do not see a lot of our friends Dave and Heather. Dave is a referee for a number of hockey and broom ball teams, and Heather works for a local tax preparation company in addition to her full time day job. We had talked early in this week and invited them over for dinner that upcoming Friday. We typically share a few bottles of wine when we’re together. 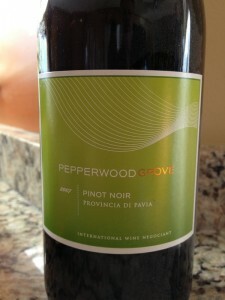 This time Dave brought over a bottle of 2007 Pepperwood Grove Pinot Noir. I recall seeing the label a few times, but I think this was the first time I ever tried the Pinot Noir. We started the evening with a glass before dinner. 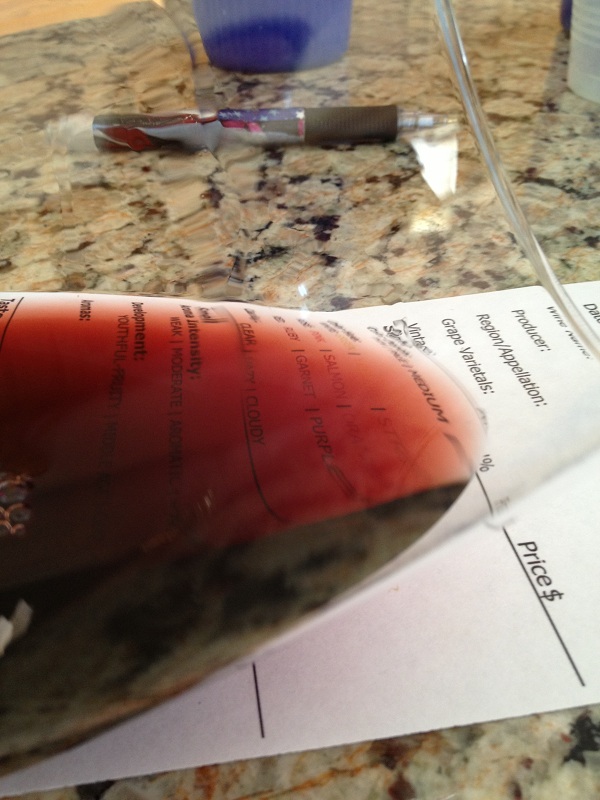 As Dave was pulling the cork and pouring the wine I grabbed my tasting sheet. Medium color depth and a ruby to garnet hue. 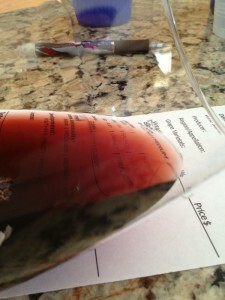 The Pinot Noir was slightly aromatic and it smelled fruity and a bit earthy. We noted spice, ash and ripe fruit. I could tell this was not going to be a real fruity Pinot and rather more of a Burgundian style. Dry and medium bodied and I thought it was slightly tart. The flavor intensity was medium and we could taste smoke and a touch of raspberry. The tannins were pretty weak with a medium finish. abv: I forgot to make a note of it. It was not one of my favorite Pinot’s. I rated the 2007 Pepperwood Grove Pinot Noir two glasses.